In BIG-IP platform, “Self IP” term is associated with VLAN for each device. Each BIG-IP has a self-IP in a VLAN which is the IP defined on the interface. A self IP address represents an address space ie a range of IP addresses spanning the hosts in the VLAN and not only a single host address. To simplify things, we can say that In Cisco terms, it is similar to SVI where we assign IP Address to VLAN. F5 compares destination server IP address with VLAN self IP address to identify which VLAN it belongs to. Also, It is the source address when Automap SNATting. Self IP Address can also be used as the Default gateway for systems on an internal VLAN. Self IP Address is also used to send monitor probes to the group of servers in that VLAN. For each VLAN where Self IP is created, the BIG-IP system automatically assigns a media access control (MAC) address. Another way is to globally configure the BIG-IP system to assign the same MAC address to all VLANs. This feature is useful if network includes a type of switch that does not keep a separate Layer 2 forwarding table for each VLAN on that switch. “Static self IP address” – This IP address used BIG-IP system does not share with another BIG-IP system. IP address assigned to traffic group “traffic-group-local-only” is a static self IP address. 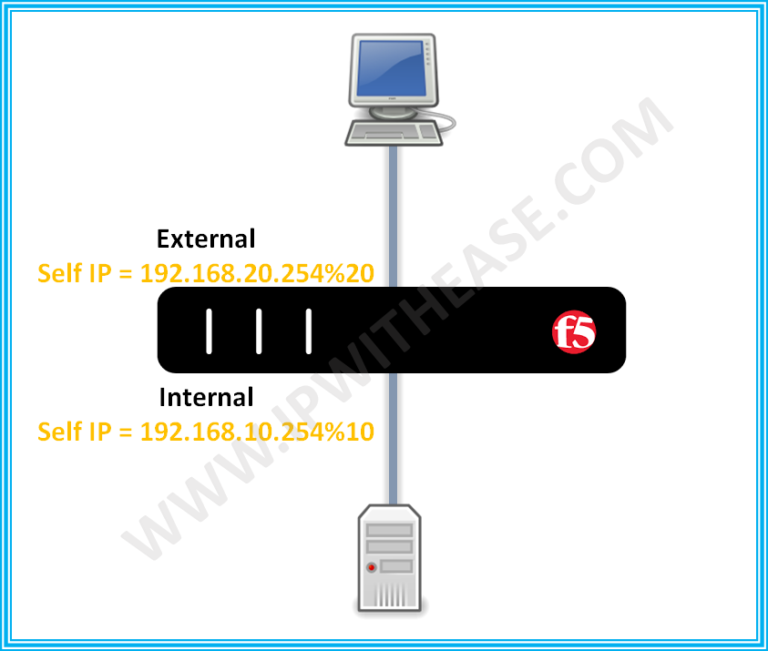 “Floating self IP address” – This IP address is shared between 2 BIG-IP systems. IP address assigned to traffic group “traffic-group-1” is a floating self IP address. floating selfip is like hsrp virtual ip. it will float to active unit when failover occurs.